Hon. Secretary & Vice-President, Dr. Neetu Marwah is the Co-Founder and Group CEO of Unified Brainz Group Holding Inc.
a leading Strategic Management Consulting firm in India, she did her Ph.D in Human Resource from NWMDIU, South Africa and works as Human Resource Management Consultant. 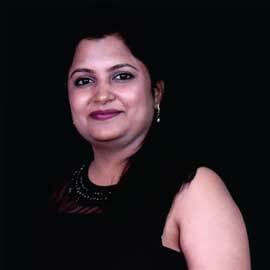 Dr. Neetu has served in many senior capacities within the HR Consulting. She held the role of Managing Director IBERIS INC. A Strategic HR & Business Advisory firm from 2005-2013. After M&A of IBERIS INC with UBGHI in 2014 now she actively holds the responsibility of Group CEO & also Heads the companies staffing division. Under her leadership she is providing strategic and operational leadership to support all business functions within the group Company along with opportunities for cross-leverage and critical company investments. In 2014, she assumed additional responsibilities as Chief Financial Officer, As CFO, she plays the role of chief financial spokesperson for the Company and responsible for the overall financial & accounting health, acquisitions, investor relations, securing of new funding and regulatory compliance. She now Serves an Honorary Advisory Board Member for KEISIE ASIA for development in HR & Management to help the students and alumni for placement & their staffing needs.